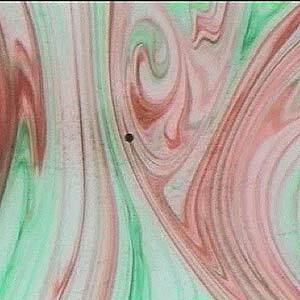 In this project we explore the properties of rotating fluids using simple dye-stirring tank experiments. Analogous atmospheric and oceanographic examples are described. 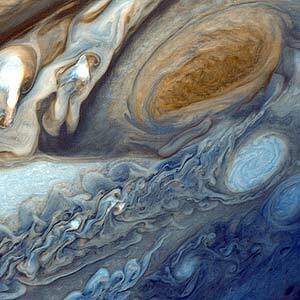 Compare Jupiter’s Giant Red Spot on the left with colored dyes mixing in a rotating tank on the right. This EAPS project is supported by the National Science Foundation.